In these days of screw top bottles and stainless steel tanks, many of us wonder if decanting is the province of wine-pomps only. Serving wine should be simple: just open and pour. Decanting lets the wines breathe, improving their aroma and taste. Young wine that hasn’t been aerated can taste bitter and have a strong taste of alcohol. Allowing air to get across the surface area breaks up tannins and frees up the flavour of the wine. Fresh young things respond well as it is their flavour vibrancy which imparts the obvious difference (poured from bottle or from decanter). So which wines need it? When to do it? And how? 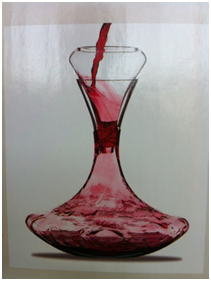 “For whites, use a narrow base decanter to minimise air surface, and decant only for 1–2 hours. “I pour my reds at the table from a decent receptacle instead of the bottle. 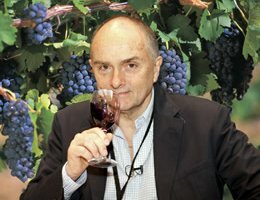 If it’s a young wine, I add a little pizzazz–technique: I aerate the wine on pouring to stir it up; this freshens the wine as well. Young wines are best decanted into flat base decanters with lots of surface for the wine to absorb oxygen. Older reds and whites are more fragile so choose a narrow base decanter to slow down any potential oxidation from excess air exposure. “If it’s an older wine, say over ten years, it will have spent most of its life maturing in bottles and have an excess of solid matter. While the sediment is harmless, it can ruin the colour and appeal. Separating the sediment before serving does result in a clearer and smoother wine. Have a steady hand and leave a small amount of wine and sediment in the punt or bottle base. “But you must exercise caution when decanting older, more delicate wines. Don’t let these beauties aerate for too long, as oxygenation can turn the wine oxidised. Find yourself without a decanter? Swirl your glasses and open up the bouquet. 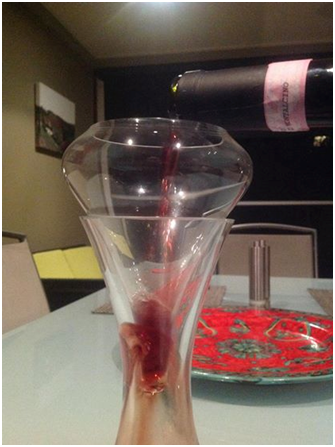 Better yet, impress your guests with at your next dinner party with a beautifully decanted wine served at the table. All class! 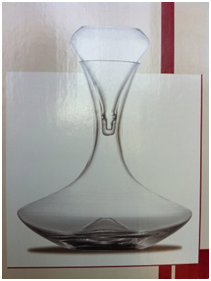 Peugeot Grand Bouquet decanter.Excellent shape for aerating wine.